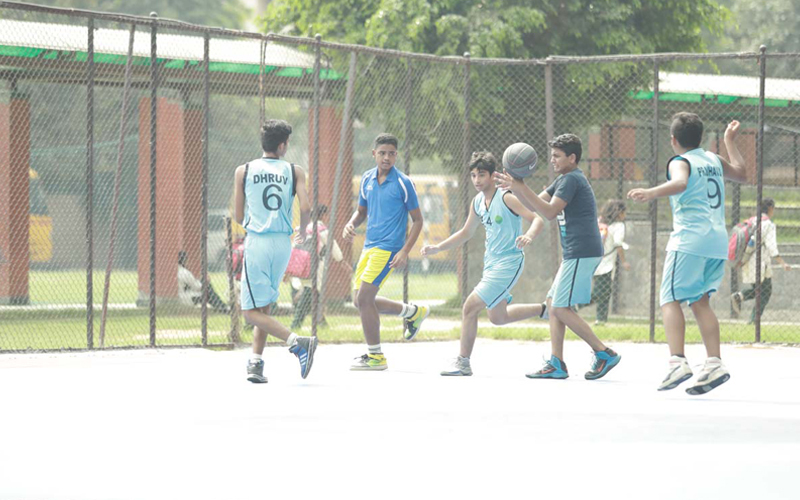 Sports is essential part of our daily life as it involves us in common physical activities under healthy environment. Playing sports help students in many ways through the life. 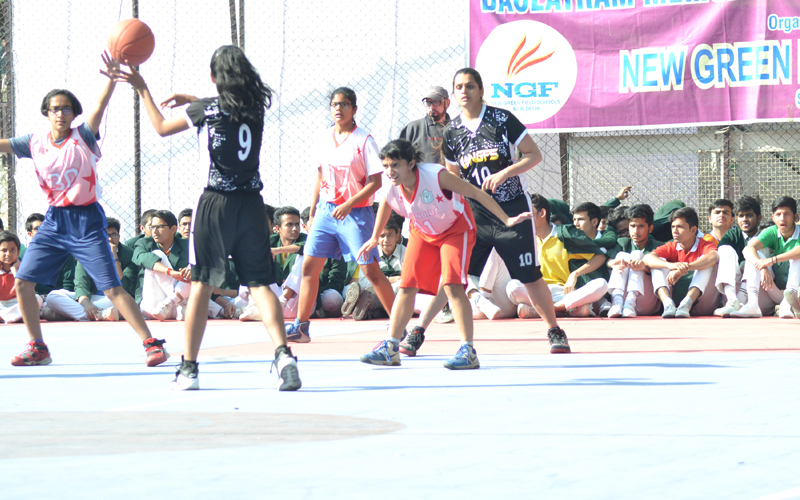 Sports and games activity is important for mental and physical growth for all students. Music is a form of art, an expression of emotions through musical instruments. 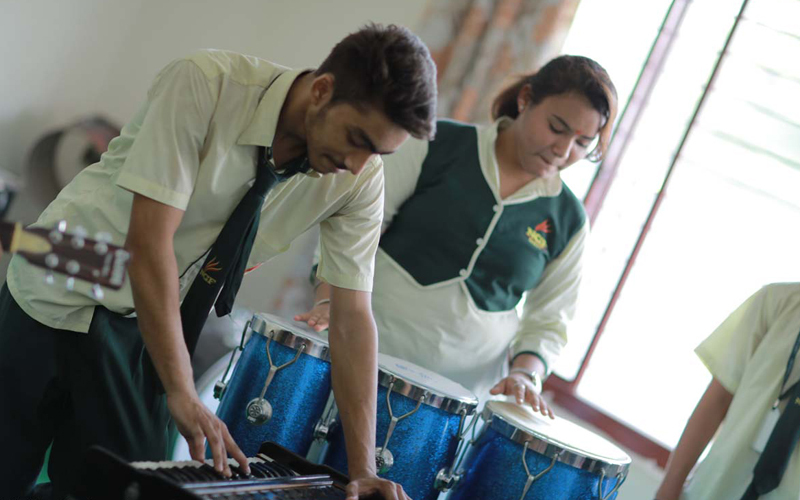 Music is sound that has been organized by using rhythm, melody or harmony student can learn to play an instrument. 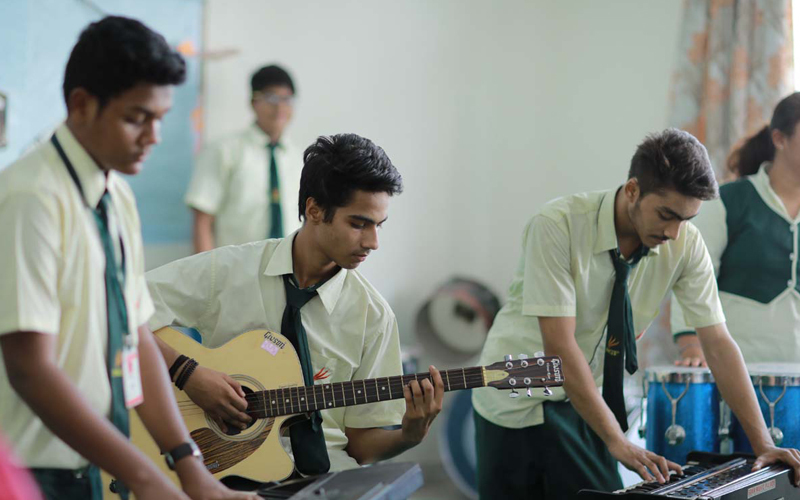 Student should choose an instrument that they enjoy playing under the guidance of trained music teacher. 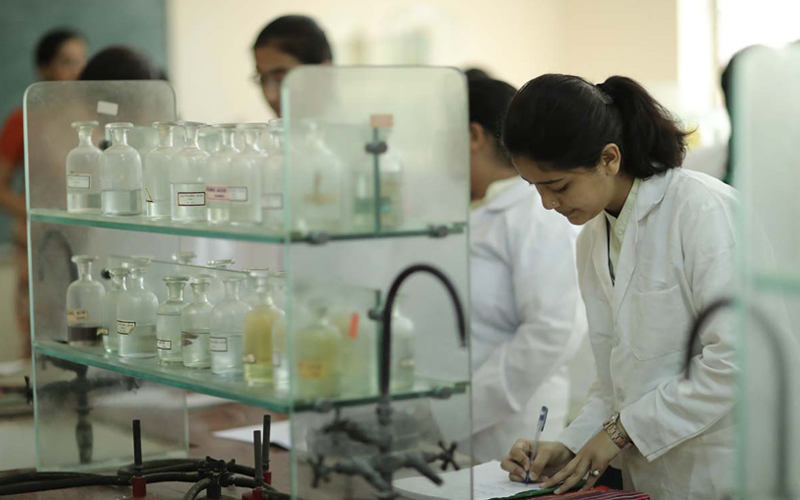 School has well-equipped labs to enhance the learning ability and skill of the students. 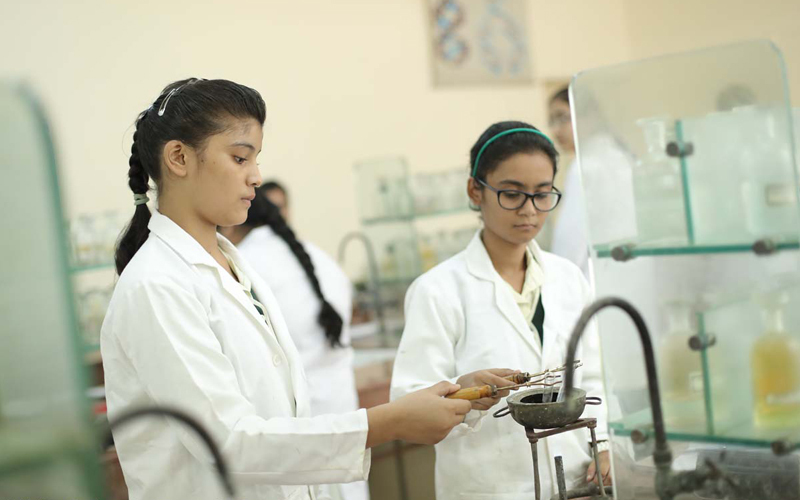 The science labs provide opportunities to do practical work and conduct scientific investigation. 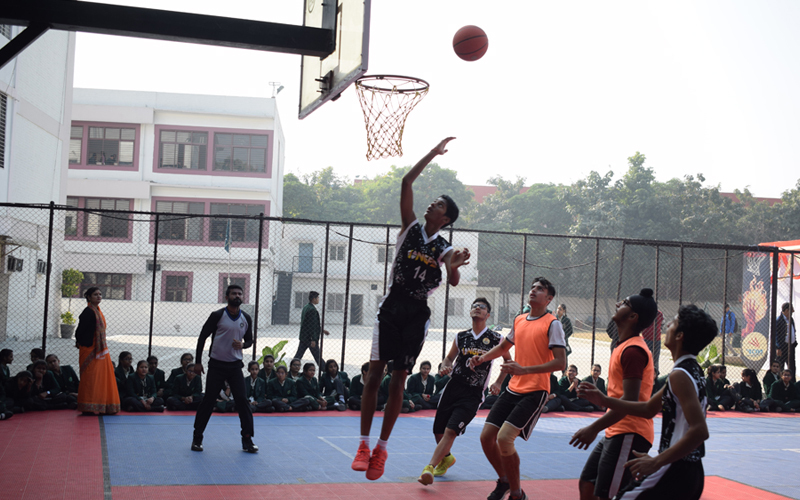 School has made arrangement for games periods in every class time-table. 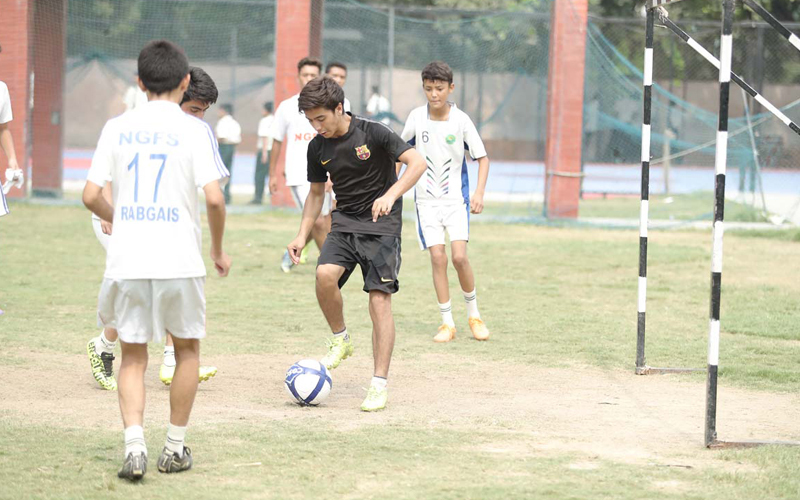 So evert student gets a chance to play in the team. 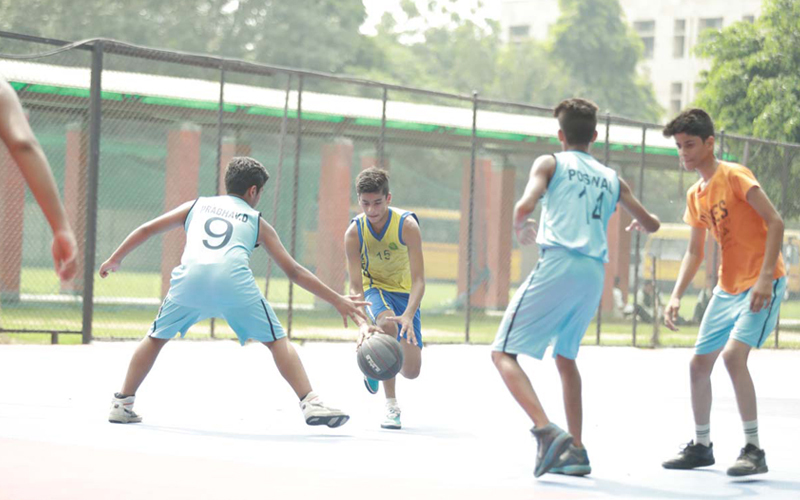 The games that can be played on the ground are like: Basket Ball, Cricket, Skating. 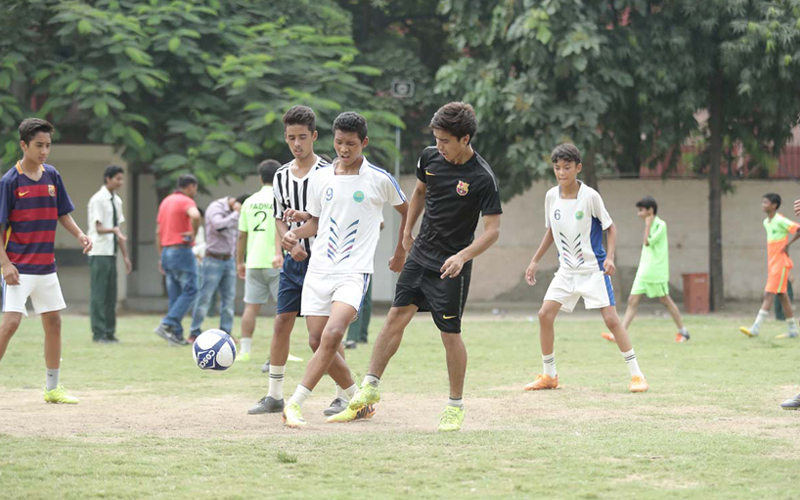 Sports equipment is provided in the school under the guidance of trained coaches employed by the school. 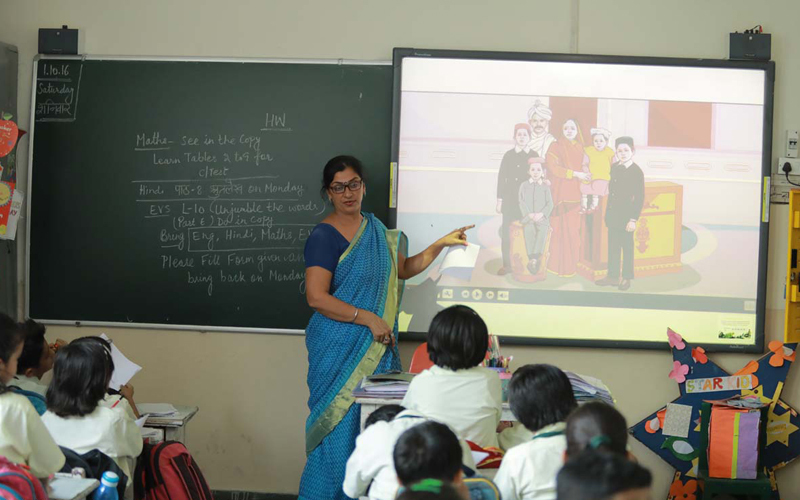 The content repository of the smart class consists of thousands of highly animated, lessons specific multimedia modeled as per the general CBSE curriculum. 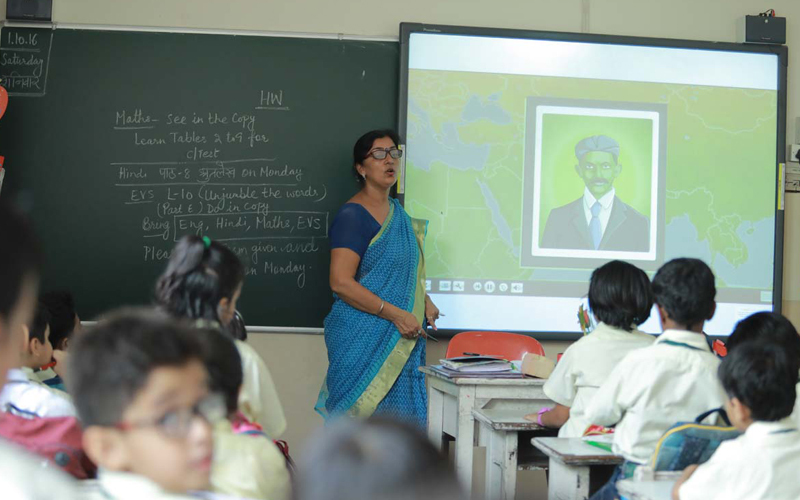 Smart class rooms have revolutionized the methods of teaching as it has transformed the way teachers teach and students learn in the school. 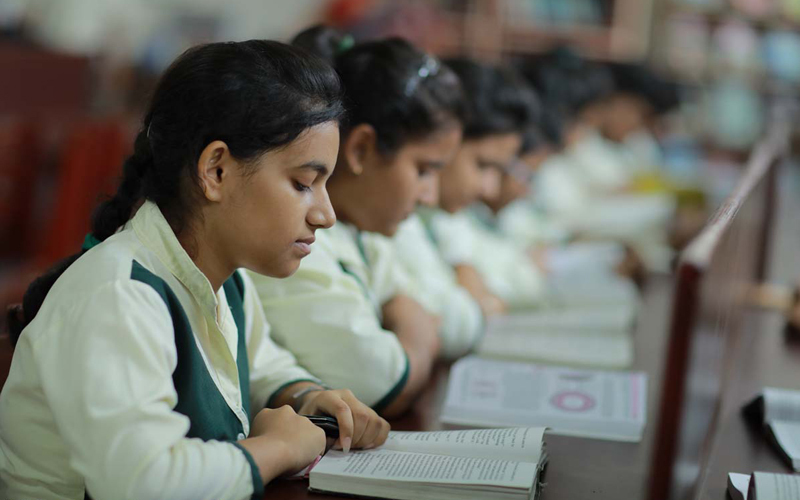 A Knowledge Centre has also been created to help the teachers with resource material to adapt to the distinctive needs of the children. 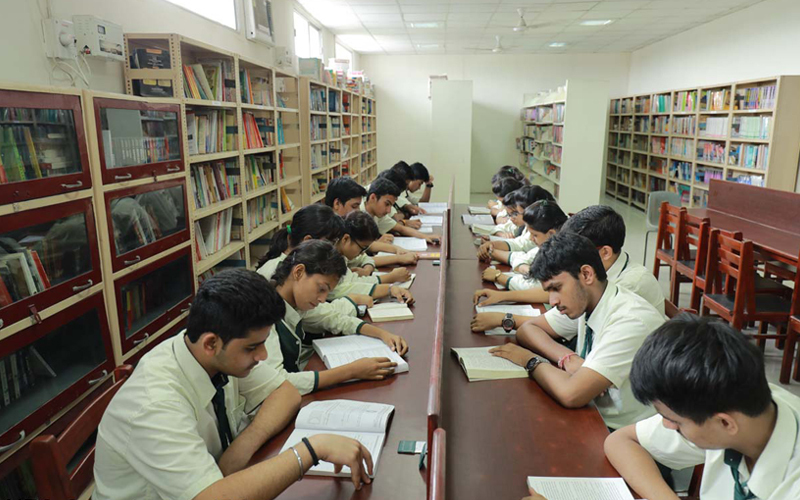 To expend and widen the horizons of the students as well as teachers there is a huge collection of books in a library. 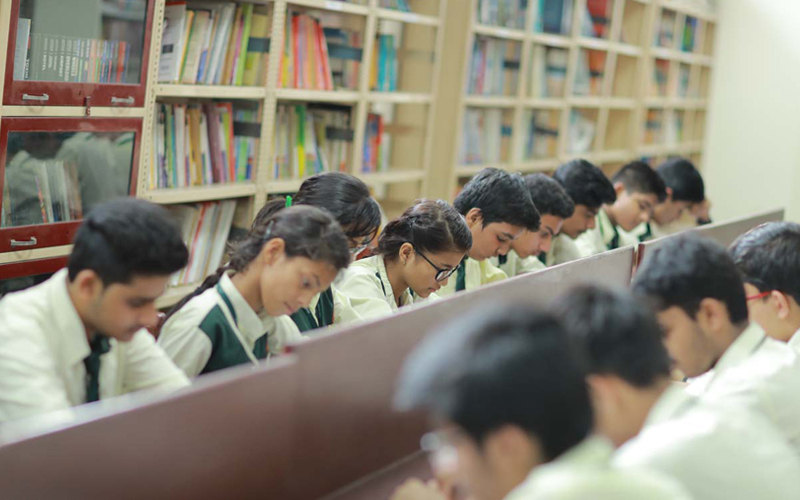 The library subscribes to periodicals and leading dailies along with general reading and long-short range reference services. 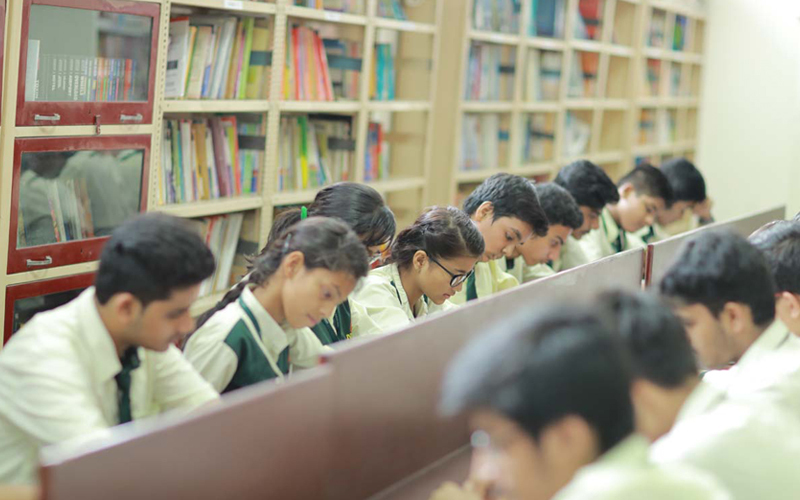 School aims at making learning a fun process, there is an assortment of books and magazines on general topics, course related books and other topics. 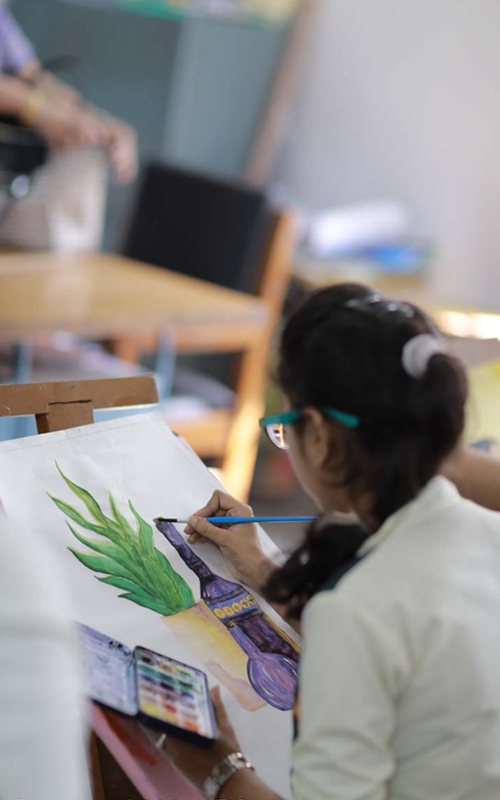 Drawing allows the students the freedom to express and communicate their ideas and imaginations on freely. Students who are still developing the words to express themselves may find drawing easier way to communicate. Drawing made simple, it’s s good starting point on ways to draw for the students. 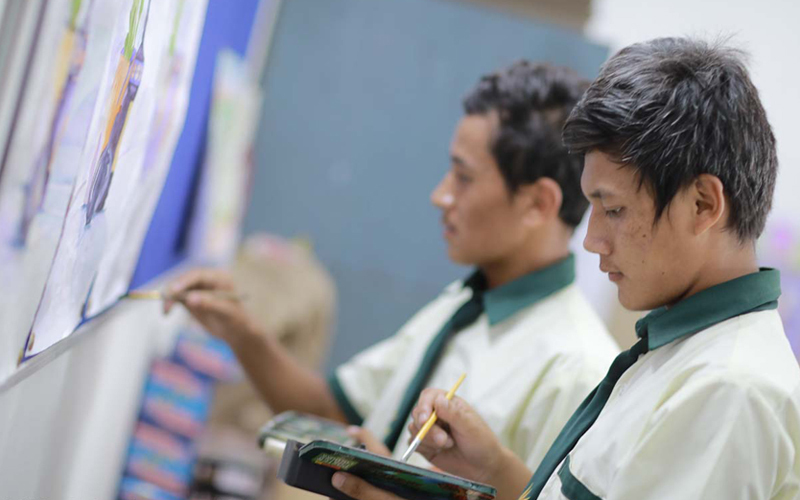 This gives a essential opportunity for every students to express ideas under the trained drawing teacher. © Copyright 2018 : New Green Field School. | Powered by : Redox Systems Pvt. Ltd.